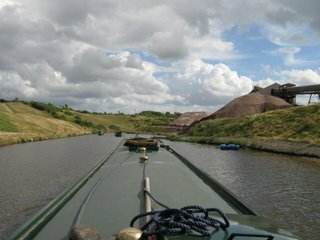 Drifting slowly down the Shropshire Union Canal past barbridge and the jct. of the Middlewich arm from which we came on our way to Chester, on past Hurleston Jct and the right turn through 4 locks takes you onto the Llangollen Canal to north Wales. 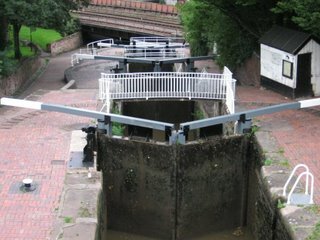 After a few stops here and there including Nantwich, a town with much history, we arrive at the start of the Audlem flight of 15 locks. 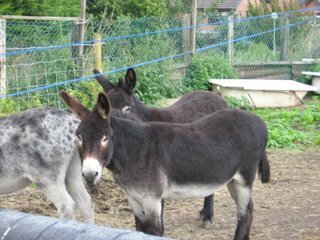 Well it`s late afternoon so no hanging about we get stuck in. 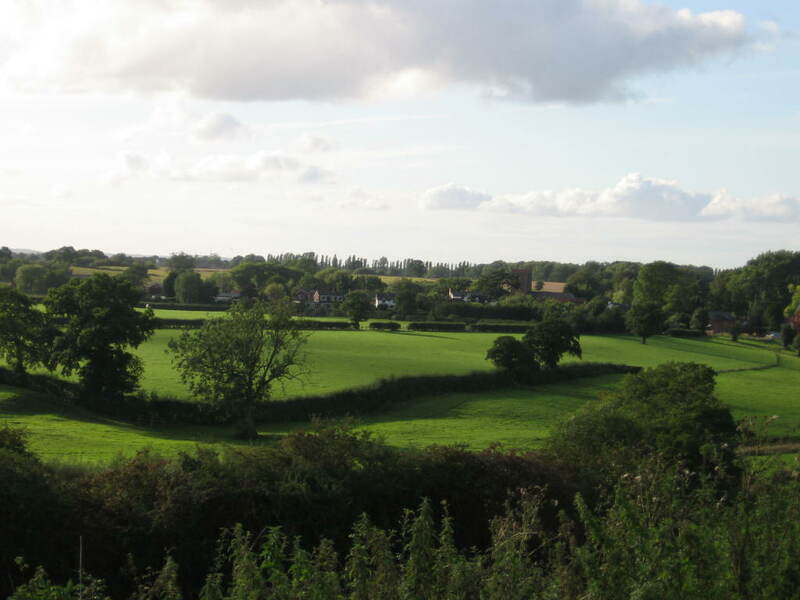 Through the first and then the second and ............MOOR UP because having come so far over the last week i think Audlem might be a good place to get some Blogging material. But first give me a break i have just done 2 locks, i`ll have a pint and explore in the morning. Inside the shroppie Fly pub with yours truly posing by the narrowboat bar. Hotel boats Dusk and Dawn moored up for an overnight stop just outside the Shroppie Fly. These are the 3rd pair i have seen since coming on the system. As in the working boat days the motorised boat tows the butty and i believe there is room for about 6/7 guests and 3 crew. 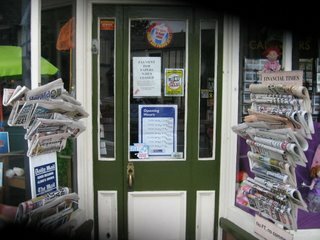 please pay in the shop, or claim your change, next time you are passing. 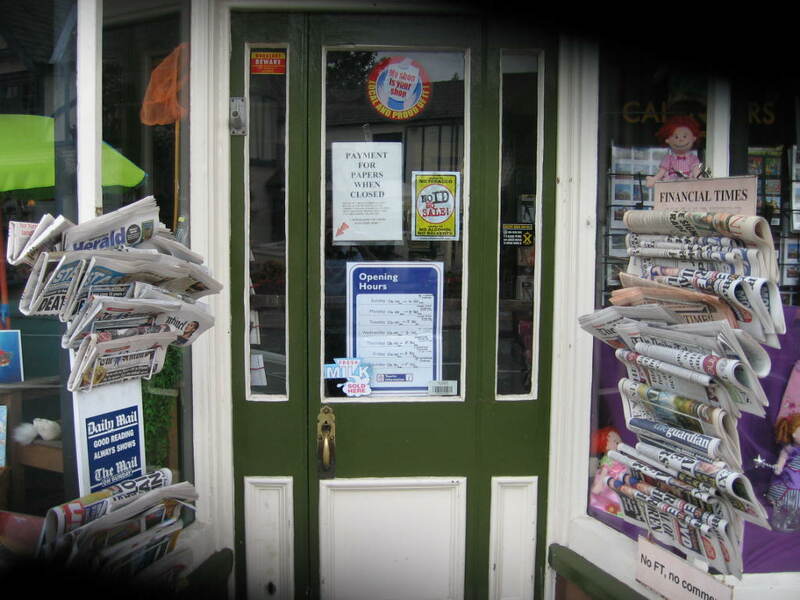 Now how many shops have you seen lately that trust the local population that much. 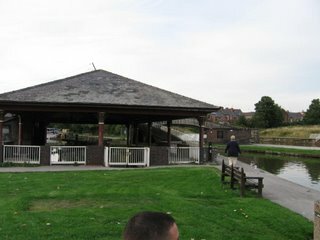 The Butter Market, erected in 1733. 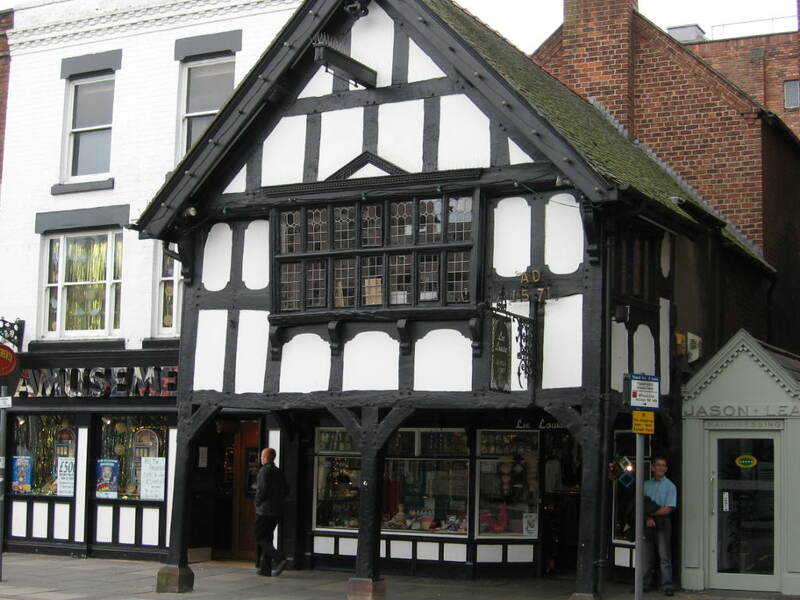 A market charter was granted in 1295 by King Edward 1 and a weekly market was held here till at least 1914. The boulder seen between the seat and church steps was fitted with a metal ring, that i could still see traces of, and stood in the middle of the village square and was used for bear baiting. Now as you read the blog some of you might be thinking the timings don`t quite add up like someone who has e- mailed me asking if NB VALERIE is fitted with a jet engine. Well now we head back south for christmas. I say we in that i am still in the company of John and his boat TUI. 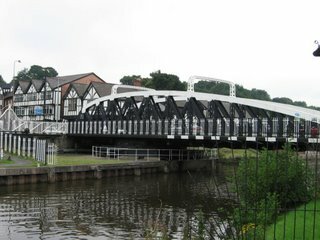 As we head south we will be going back over old ground as far as Barbridge Jct where we came in from Middlewich, but lets have a look at a few things as we go. We stopped off at Chester again for a few days because if you have visited you will appreciate just how much there is to see in the city. 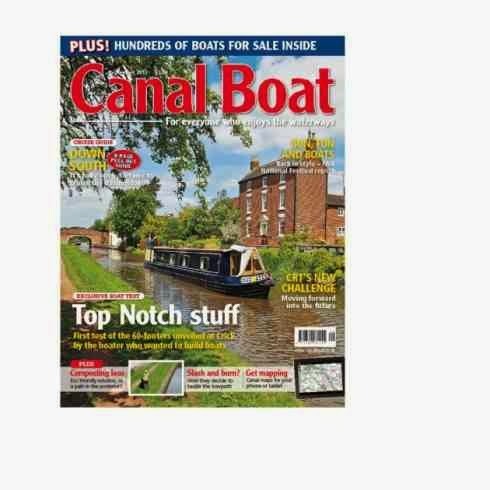 We are heading back via Birmingham so John can see his daughter who is at Birminham Uni and besides Birmingham is the heart of the system where so many canals converge and so much has changed since the days of the working boat. So sit back and enjoy the trip as we head back to the grandchildren and lots of christmas hugs. Here`s a then and now shot. 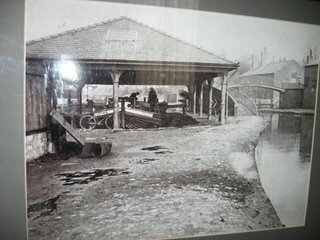 I took a pic of a pic in the museum and the top picture is from the mooring in Chester. 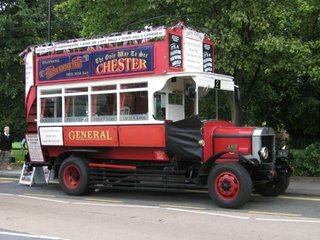 Passing back through Chester reminded me so there you are. See all the buildings have been pulled down to the right. 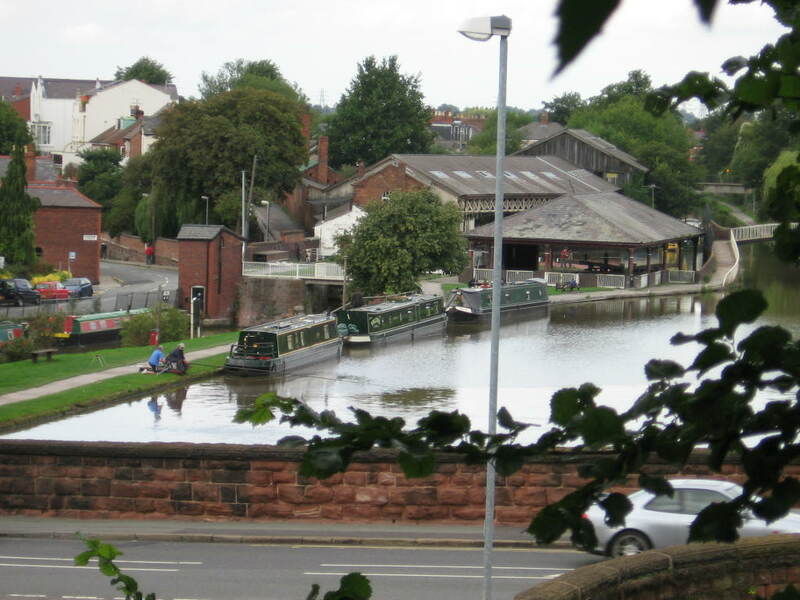 The basin is still there and in water, a swing bridge carries the towpath across the access channel. 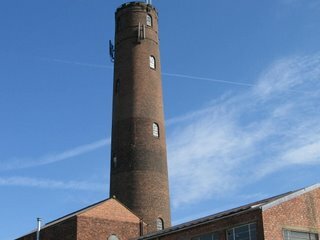 LEAD SHOT TOWER. Built in 1800`s for production of lead shot. The molten lead was poured in a sieve at the top and fell down into a water tank as it fell the lead becme round in shape and solid finaly hardening in the water. 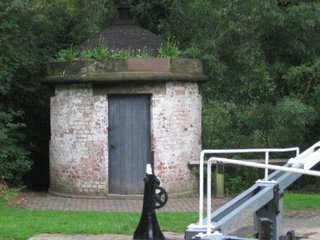 I just asked for a hand with the lock all i got was a look and "do your own donkey work boater"
A lengthsman`s hut. The lengthsman was responsible for a stretch of canal and in the hut he would keep tools etc to maintain his length. 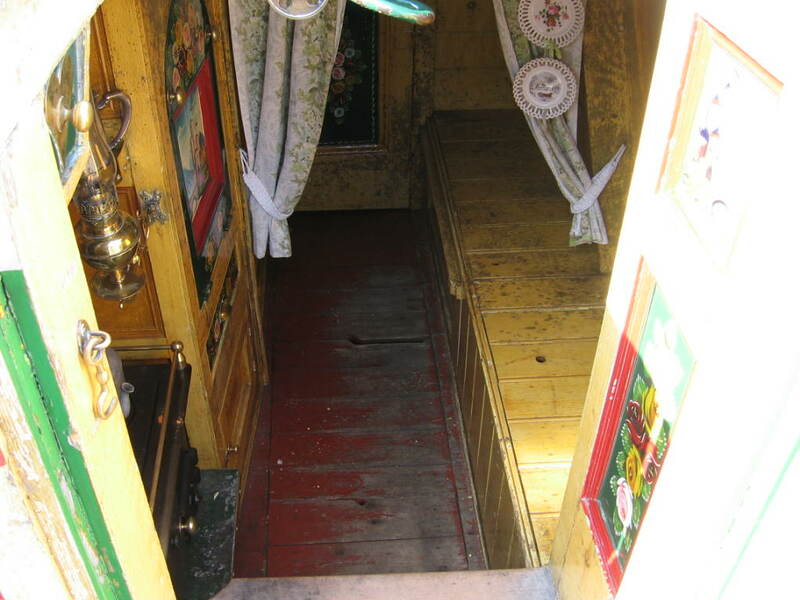 Inside he could light a fire in winter but other than that they offered no comforts. So we jumped the train and for £3.30 return had a day out in Liverpool. Had to share the train with many L`pool and Everton supporters as it was a local Derby match. Glad they all kept apart from each other. 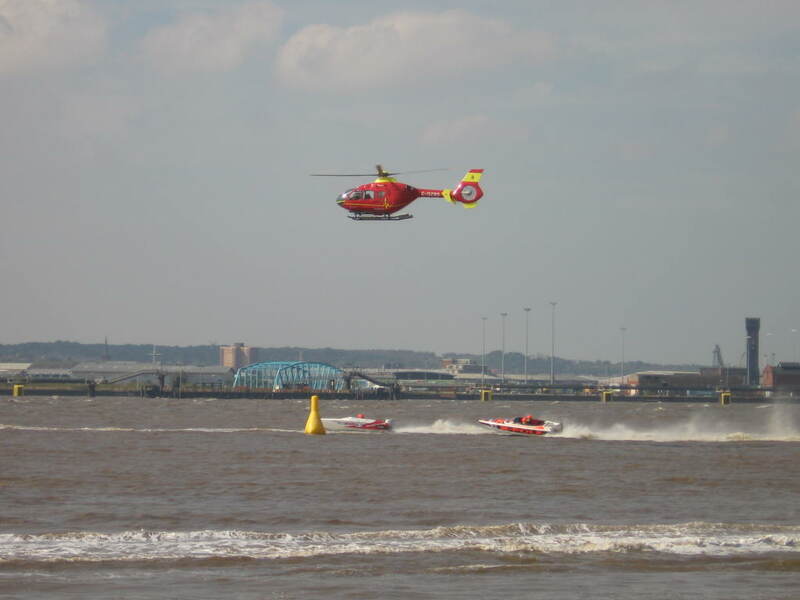 It was a nice sunny day so we made our way down to the pierhead and sat watching the ferrys back an forth to Birkenhead. 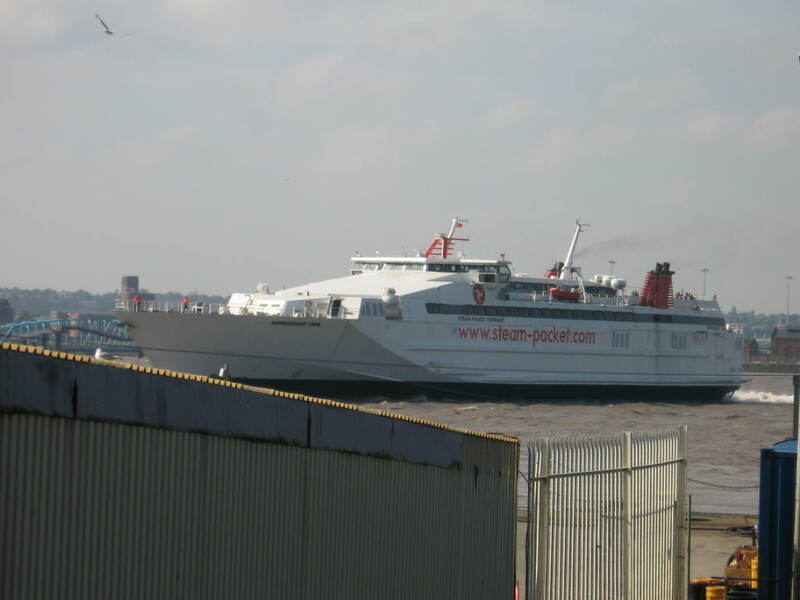 Ferry cross the Mersey who remembers the song and for a bonus point who sang it. 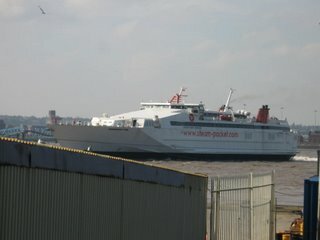 Saw the ferry come in from the isle of man, think it was a hydro foil or jet foil. See if i got a pic and maybe someone can tell me. 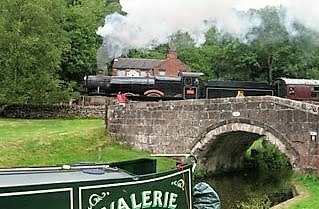 Yes so a great day out let the train take the strain gave the tiller arm a rest. Well you know it`s Liverpool when you look up and see the Liver Building. 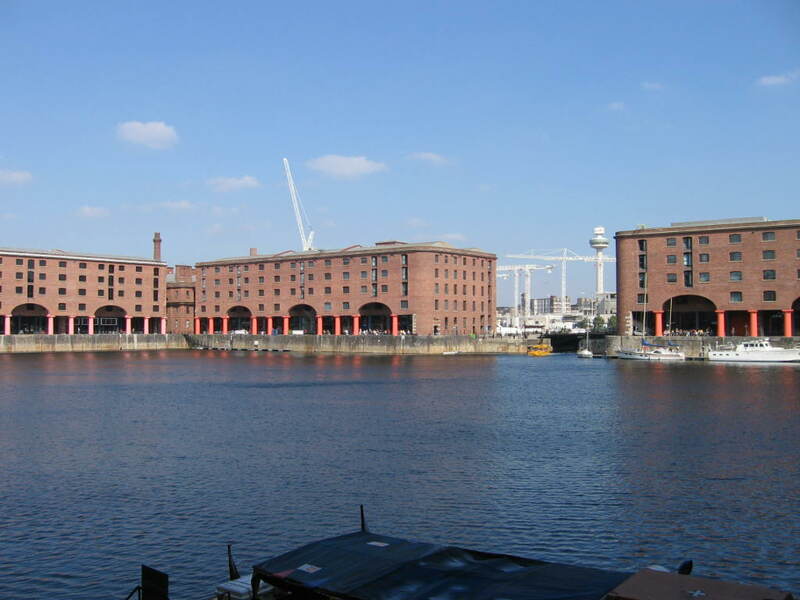 This is Albert Dock. 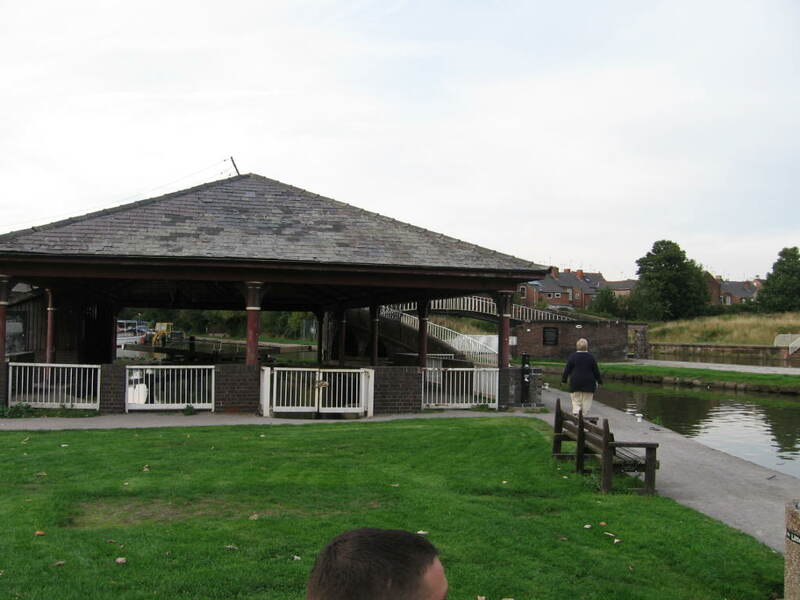 All the original dock buildings have been converted to shops, restaurants and best off all the maritime museum that has within it a customs & excise museum. A nice surprise was the power boat racing on the Mersey put on for free by Honda. Plenty of hospitality tents and a large display of i would think every product Honda make. So maybe a cheap way of getting max publicity. 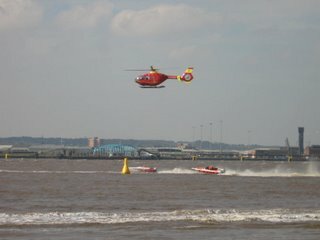 SKY TV were in the helicopter filming the racing. 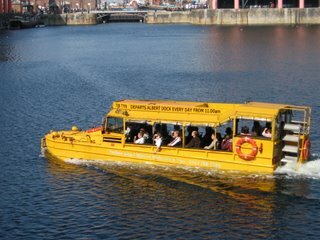 All aboard for a tour of the city and docks. And they did say goes everywhere, but i thought TO the docks not IN them. 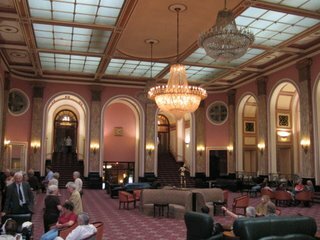 Inside the ADELPHI Hotel. 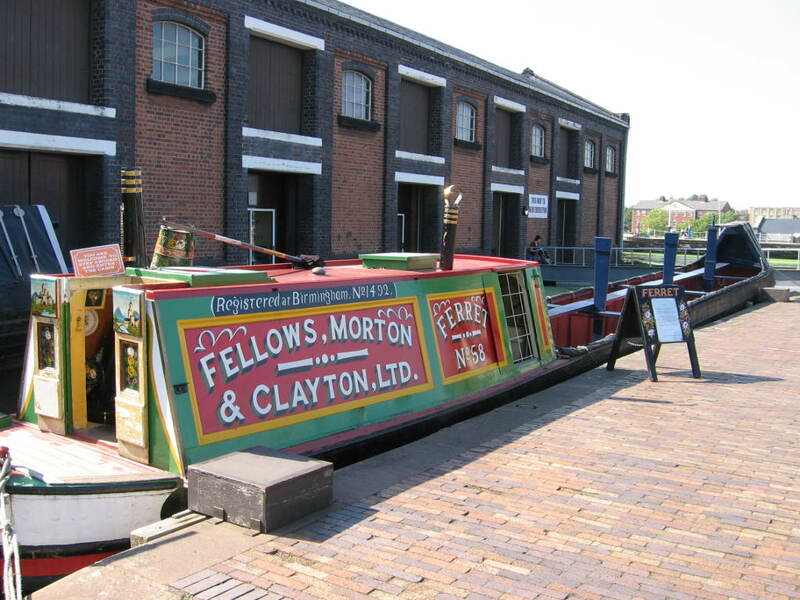 YES i know they let any old riff-raff in nowadays including water gypsy`s. Life on board a working boat must have been hard not just the long hours but the cramped living space. As you can see in the pics, and that space is 8` long, yes 8`. 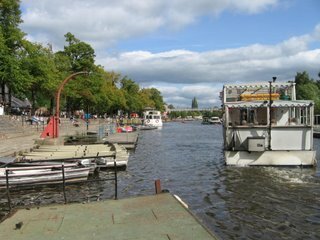 Of course many of the boats would pull a butty(un-powered boat) that would be steered by the wife and often the family`s children. 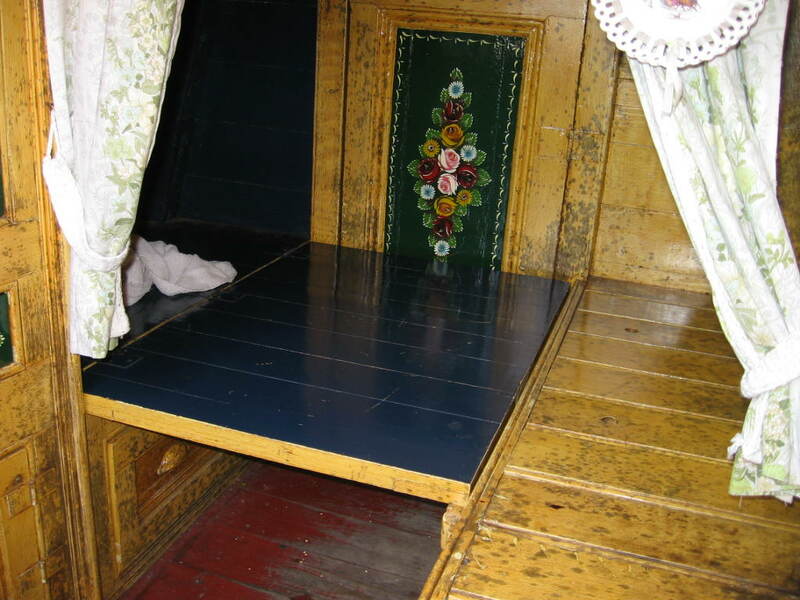 The butty also had a cabin which was used to sleep some of the children of the often large family`s. 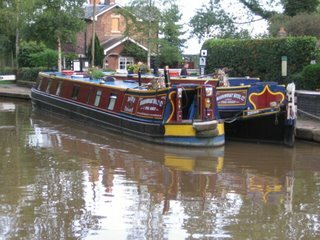 Often when the inspector was due a visit to make sure the number of children on board was not above the company limit the children would be passed to another boat untill he had gone. Looking back from the double bed to the door on the left just room for a child to sleep. The flap in position for double bed. 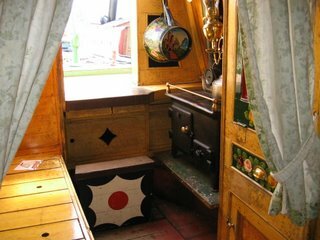 The view of the living space in `FERRET`, on the left is the stove for cooking (coal fired), next is a cuboard that has a pull down flap for a table. Behind the flap is storage space and also at the bottom drawers. The oil lamp is the only illumination, it is hinged to cast light through the cabin. Straight ahead can be seen the decorated doorway that led into the engine room. A flap came down and made a double berth crossways. View from boat museum. 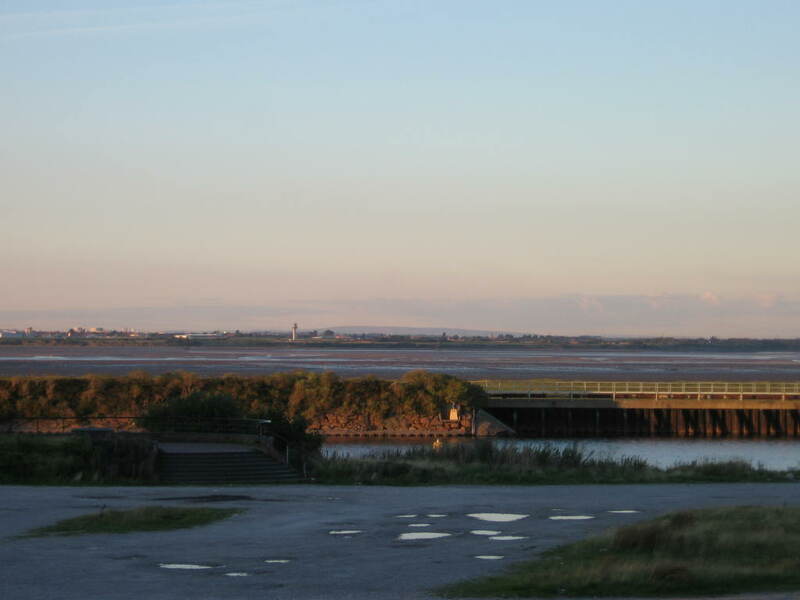 In the foreground the ship canal then the R. Mersey. Looking across just left of centre is the control tower of Liverpool`s `John Lennon` airport and to the left of that i can see the orange tail on an easyjet plane. 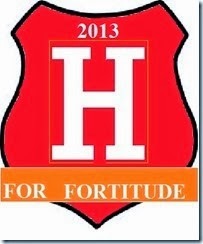 Must go to L`pool, will jump the train, can`t turn south and not pay a visit. 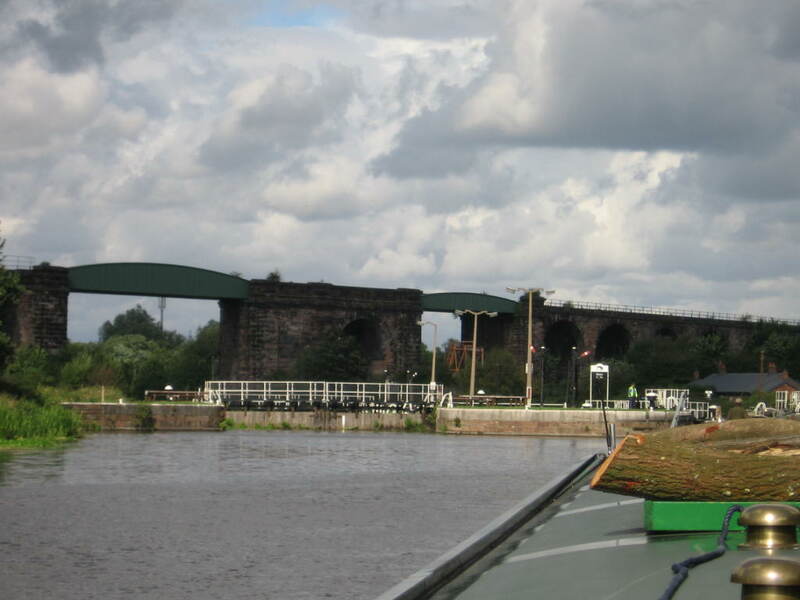 Leaving Chester an 8 mile lock free cruise brings us to Ellesmere Port that links to the Manchester Ship Canal although access has to be arranged with both BW and the Ship Canal for access onto the MSC. 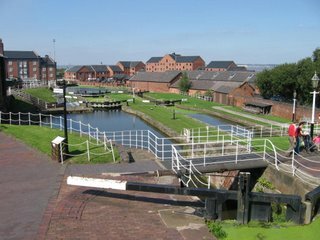 The canal arrived here in the 1790`s and major growth came to Ellesmere Port with the opening of the M Ship Canal in 1894. View from the top lock looking down to the lower basin. 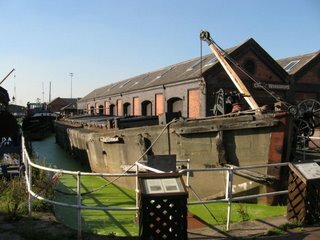 These locks are within the museum complex and visiting boats can go down to the lower basin and take advantage of 7 days free mooring and un-limited access to the museum for one admission fee - £6.50. Truly a bargain as you are locked in at night with your own access gate using your BW key. 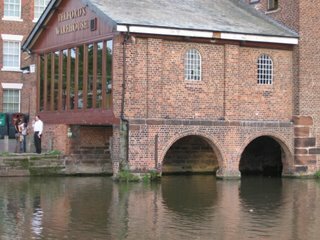 Telfords Arched warehouse spanning the lower basin. This is a picture i took of a photo in the museum as sadly it was burnt down by hooligans if i remember rightly in the 70`s. 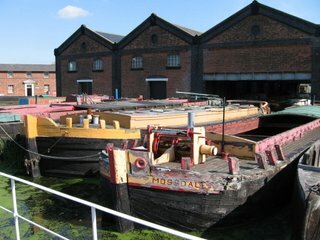 All that remains are the 2 supporting strips that now serve as moorings for visitors and some larger boats on display. 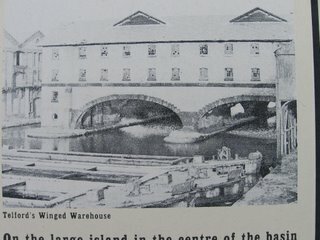 The warehouse to the left has now gone and a Holiday Inn hotel now replaces it. Porter Row was built in 1833 for employees of the Ellesmere & Chester Canal Co. One was still lived in upto 1979. Each has been furnished to represent periods of 1840-1900, 1930`s, 1950`s. The lean to at the rear was added in the early 1900`s to house the Ports fire engine. 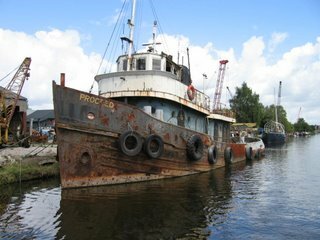 This barge is made not of wood or steele but concrete. During WW2 many of these were made not by boat builders but but building company`s. They are pre-cast concrete panels bolted and cemented together to form the hull. 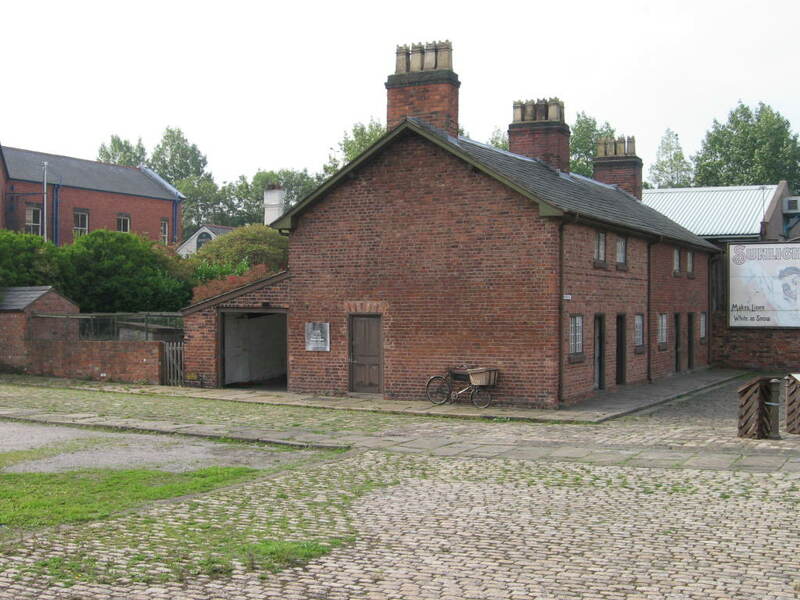 Houses were also constructed using the same system and many hundreds still exist in Ellesmere Port today. 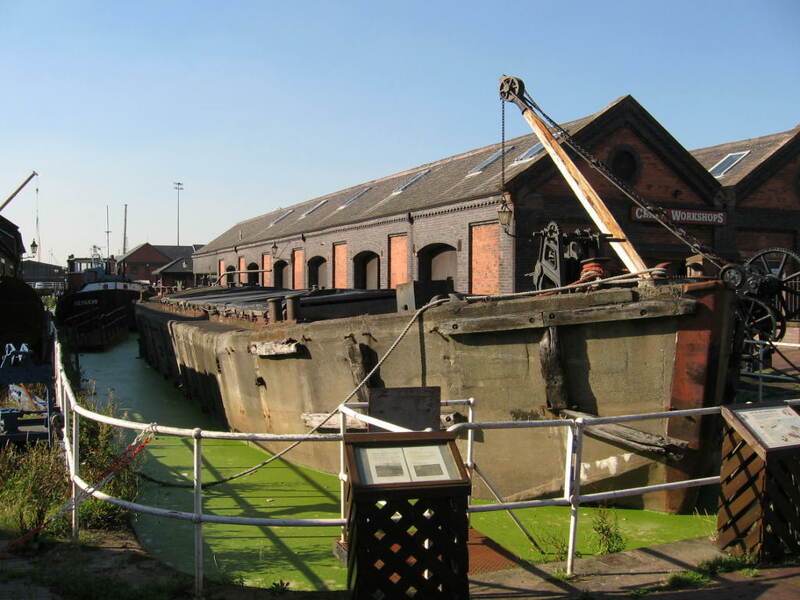 The arm within the museum that this barge is displayed is called the Victoria Arm. 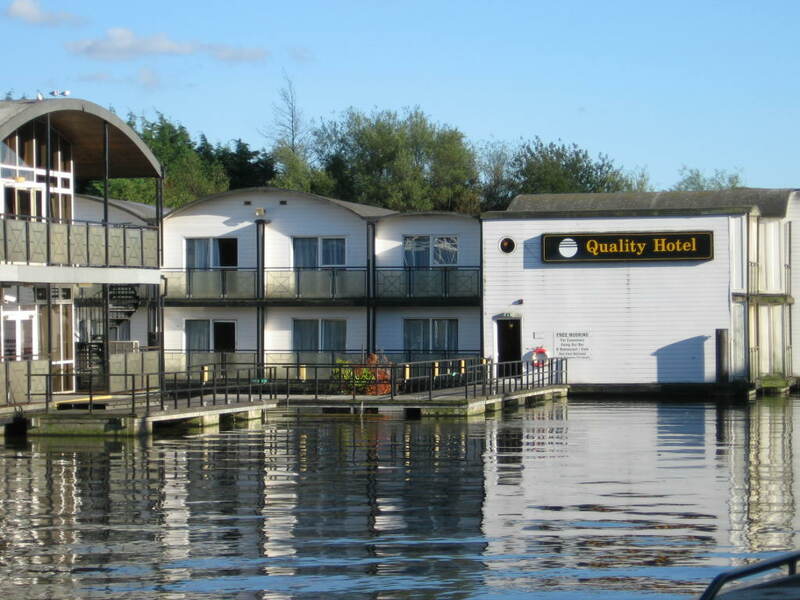 In the days of woking boats it was known as the sleepy arm because it was a quiet part of the port and expectant mums could moor here and await the birth of their babies. 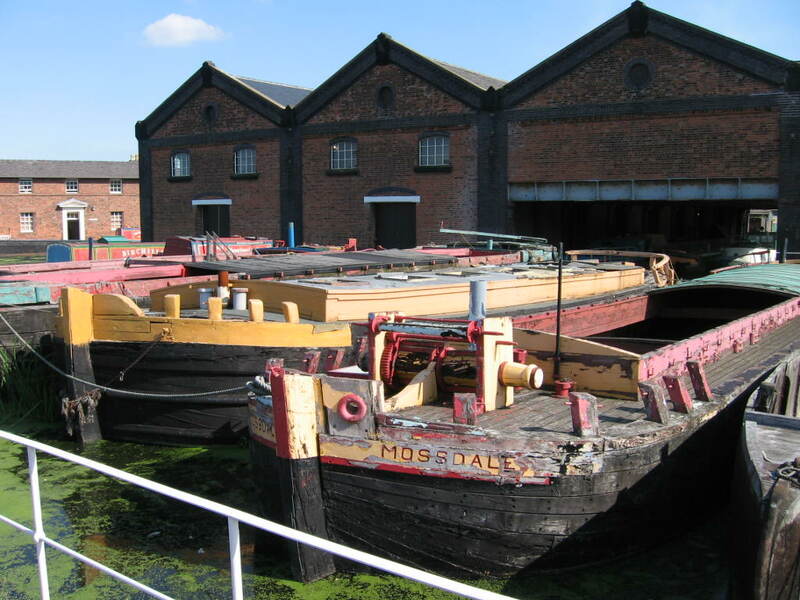 Some of the many wooden boats afloat in the upper basin hopefully to be restored as money becomes available. 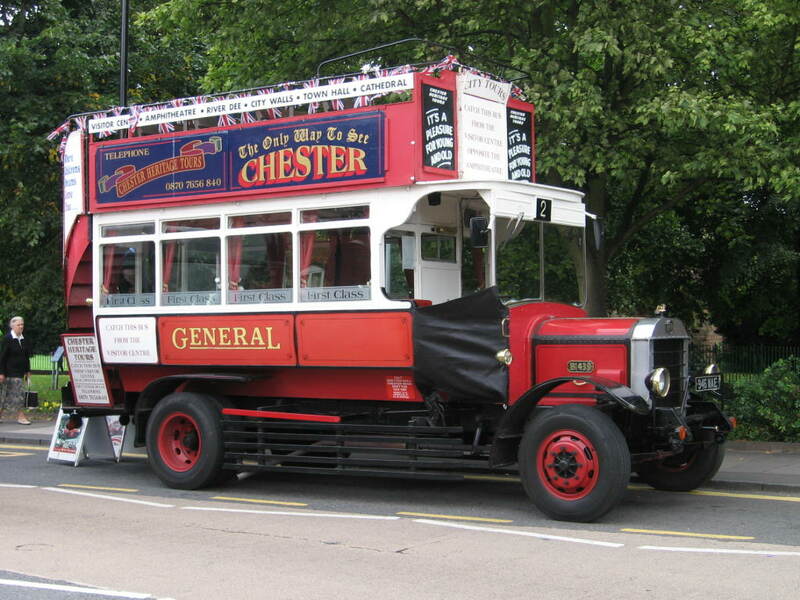 Well this is the last blog of Chester a truly facinating city. 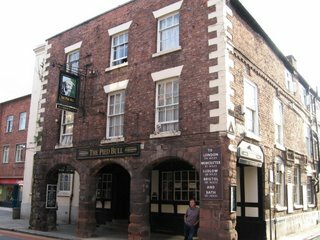 Now as you look at this blog please give a thought for yours truly who at great hardship trudged around these taverns to get the pics and info. Never have i drunk so many coffee`s in one day!!!!!!!!!!!! Telfords Warehouse built in 1790 by Thomas Telford. Boats would pass under the building to load and un-load. The building is now a bar/restaurant and care has been taken to preserve the inside, the focal point being the original crane in the centre of the bar. 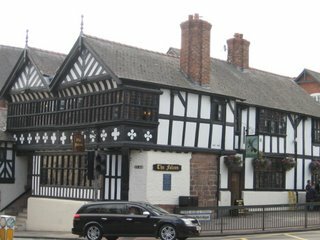 Ye Old Kings Head, timber framed and during renovation in 1930 a sword was discovered below the floor. Falcon Inn, the surviving half of a larger medieval house that became a tavern in 1778. Inside stone pillars and the remains of an original medieval shop front can be seen. 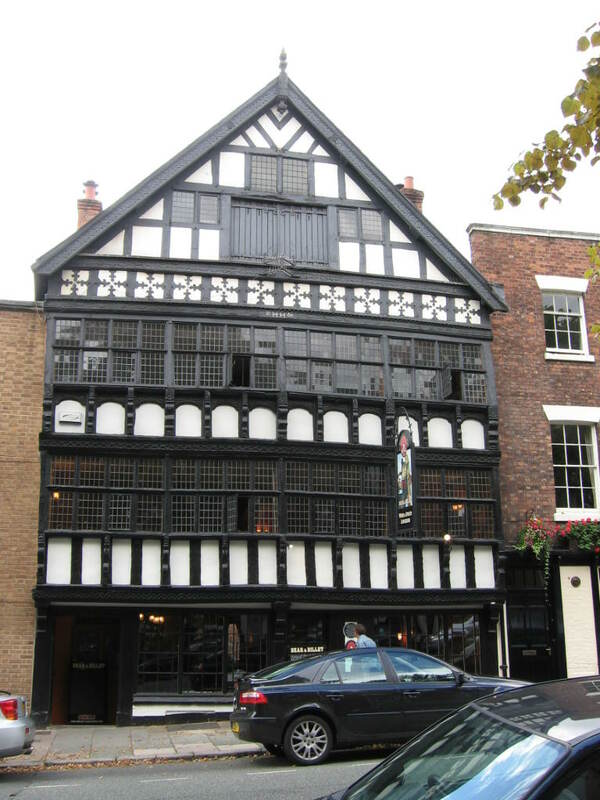 Bear & Billet, dating from 1664 and originally the town house of the Earls of Shrewsbury. The info i have is that it is said to have over 1,000 window panes. Well i have had a count and can see 70 frames each containing 25 panes of glass so i make it 1,750 just on the front. Pied Bull, once called Bull Mansion and was the residence of Chester`s recorder in1533. 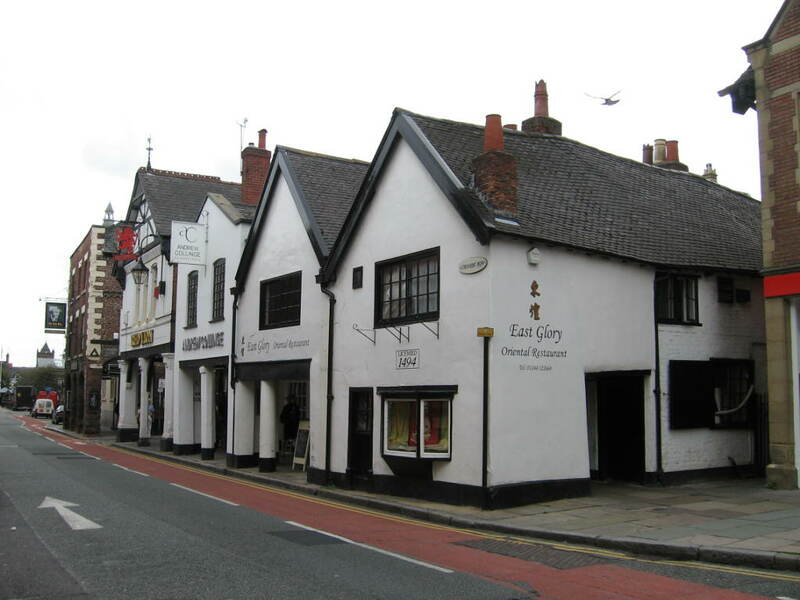 In the 18th century it was re fronted and became a coaching Inn. 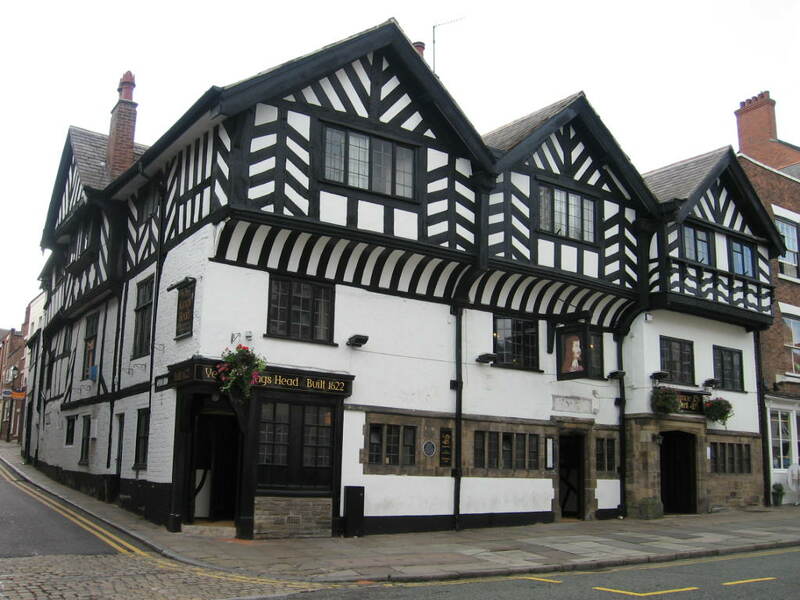 The Blue Bell, a timber framed building on record in 1540 as an Inn. 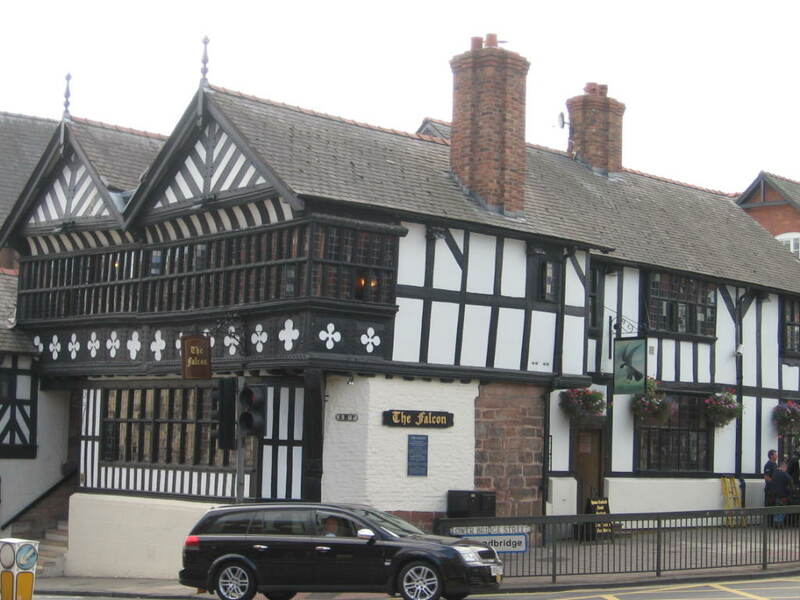 It is now a restaurant and is the only medieval Inn within Chester. 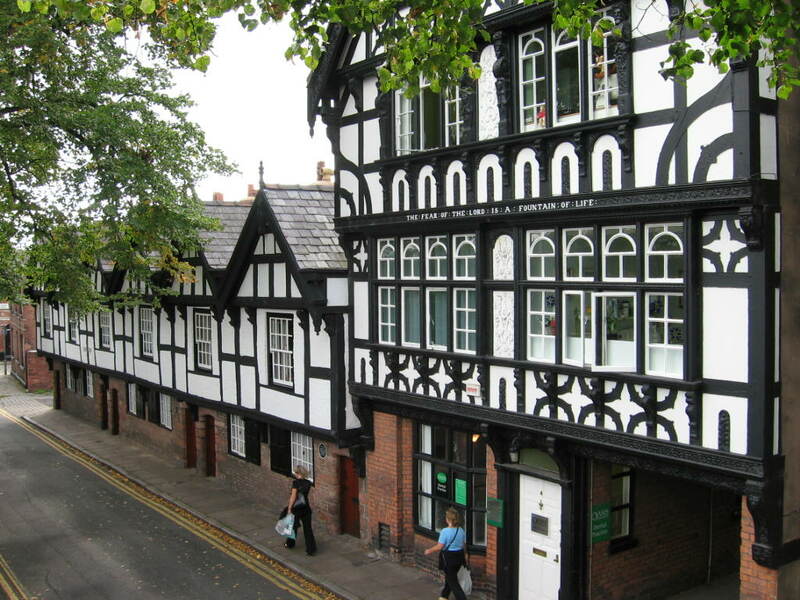 The small cabin on the right hand corner of the building was at one time used as a barber shop. Have just come back to the boat having been across the canal to a pub called "TELFORDS WHAREHOUSE" ( try to blog it later) Anyway the point is i have sat answering the comments on the laptop. So many comments just lately. Many thanks to you all, it`s so nice to know that many people are reading and enjoying the blog. 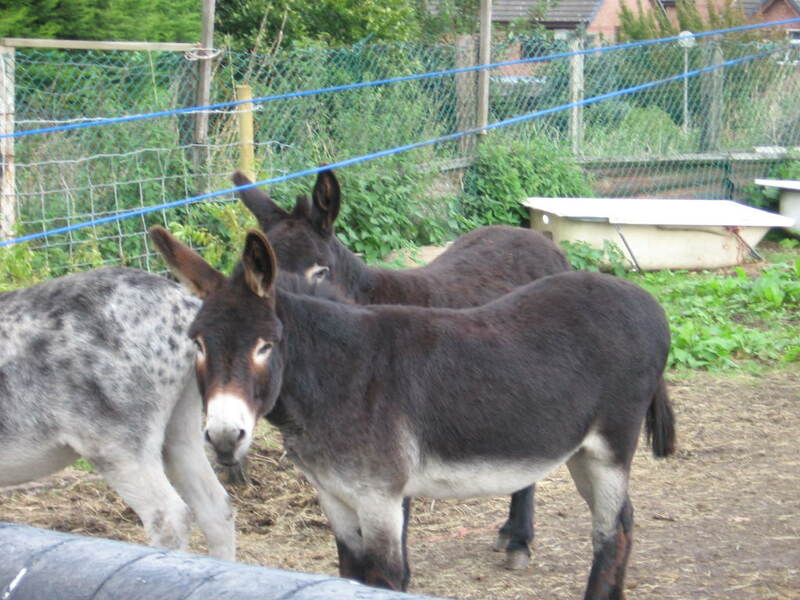 I do get an odd negative comment on the blog, well ok you can`t keep everyone happy. I also get a lot of e-mails from people wanting to live on a boat asking all sorts of questions and i answer all of them. Some of these people i will be meeting up with later in the year as i pass near to them. Also you would be surprised i get e-mails well there not worth talking about, just envious morons. On the site at the very bottom is a site meter if you click on it a lot of info can be read re who is reading the blog and where they are based. A few weeks back i noted 5,382 visits to the site and from places as far as USA & AUSTRALIA. So to all of you THANKS for your comments. Just to make it clear following one e-mail the blog is not live ie i have left chester and the blog is always a week or so behind my actual location. 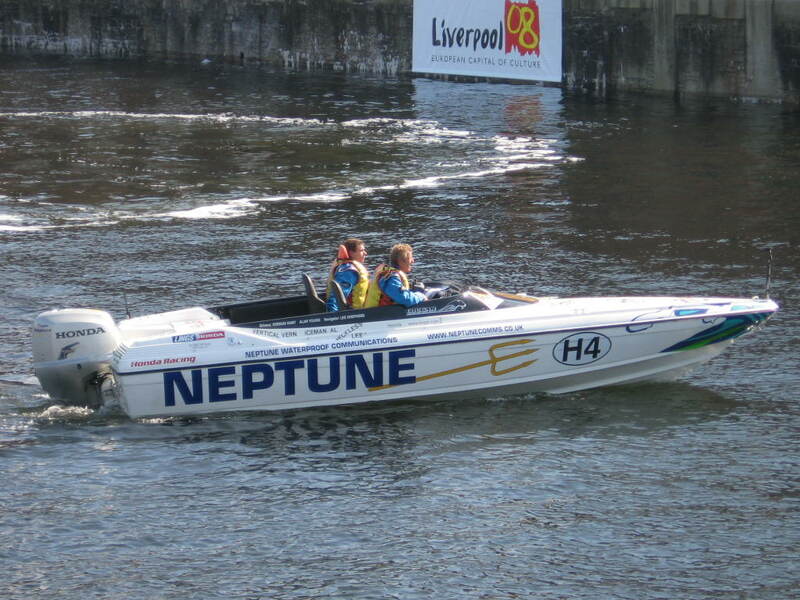 So soon will follow Ellesmere port and a visit to Liverpool. I am now heading south for christmas and winter near to family, i miss my kids and the grandchildren. 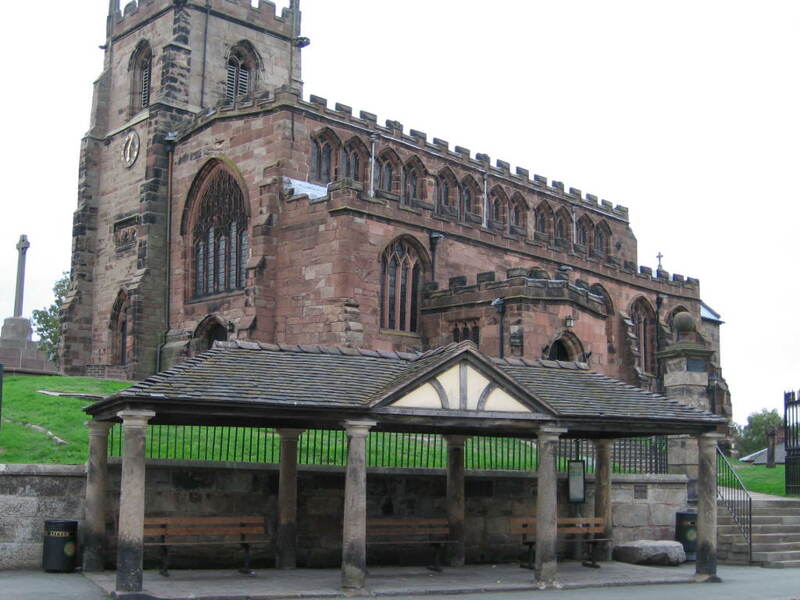 Chester a Roman fortress called Deva goes back some 2,000yrs. 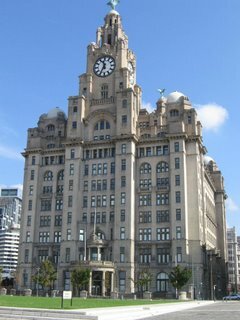 I have found the city facinating and can only blog a few bits but there is so much to see here i can recommend it to you. 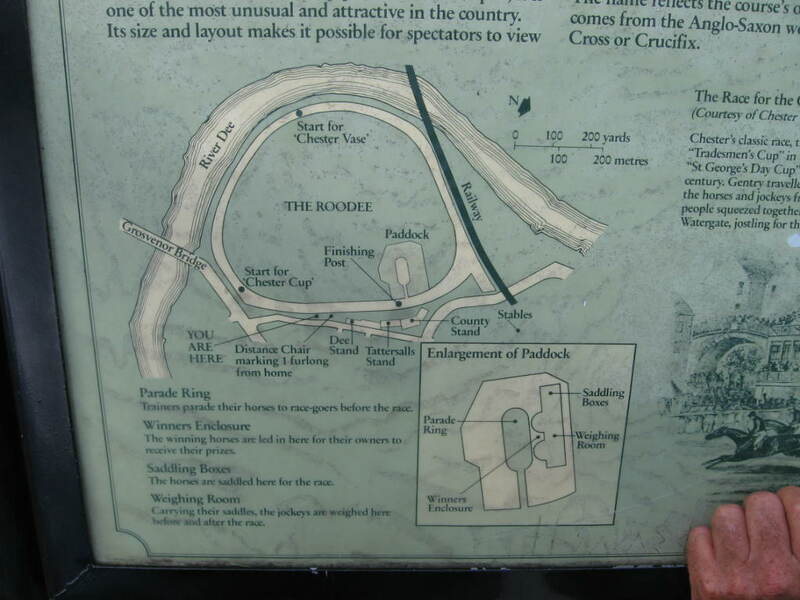 The walk on the walls is full of information posts and there is also a large visitor centre. Also you can walk around and through the site of a roman Amphitheatre that held 7,000 spectators being excavated. 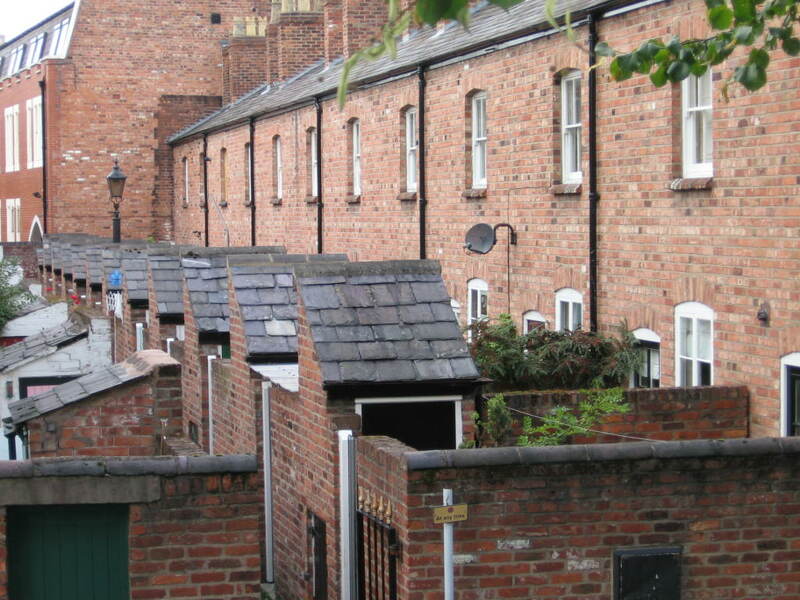 Bit like coronation street these little row of houses complete with outside loo. Just what i need a loo, must find a pub. 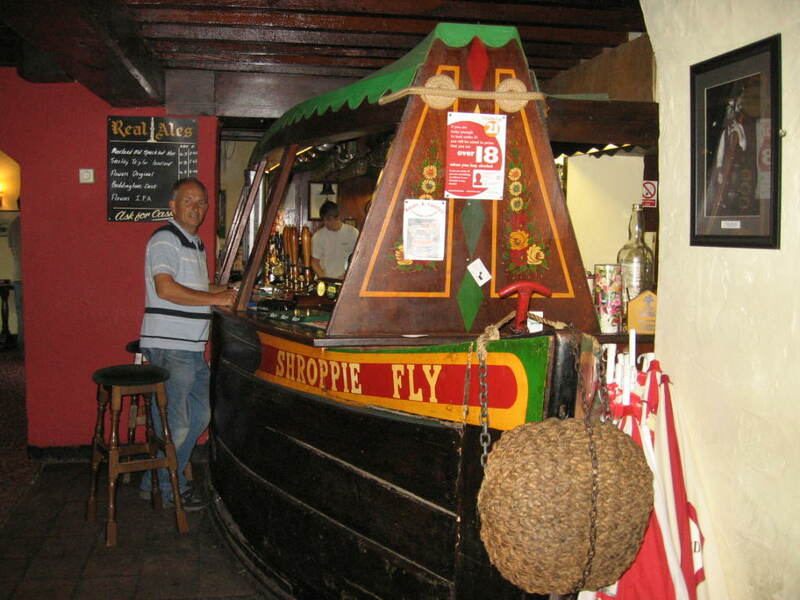 Now there`s an idea a pub crawl, only to show you some of the old taverns in the city you understand. Here`s a map of the course hope if you view it full size the river in relation to the course can be seen. 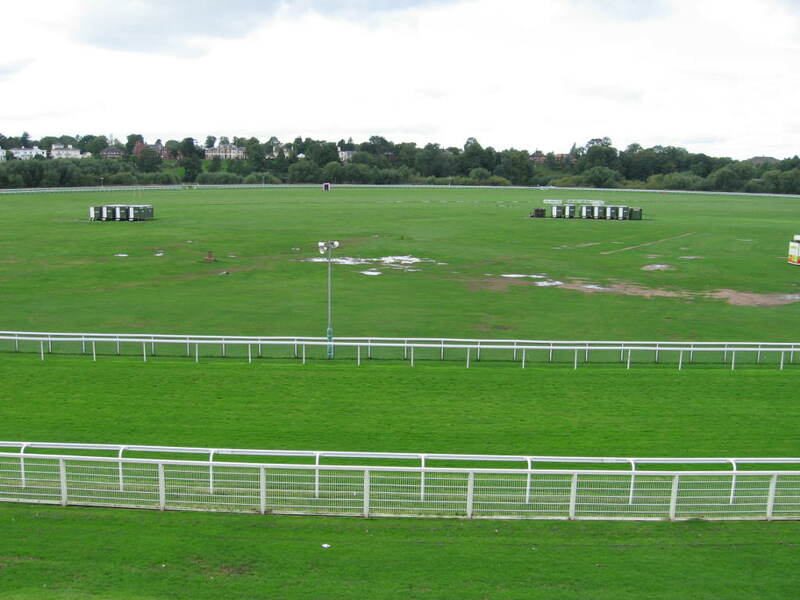 Chester racecourse said to be the first horse racing venue in the country. 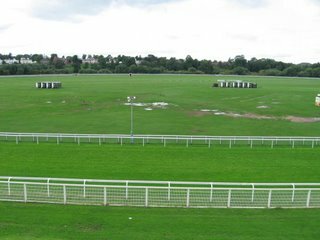 The first race after the last war attracted 103,000 punters. 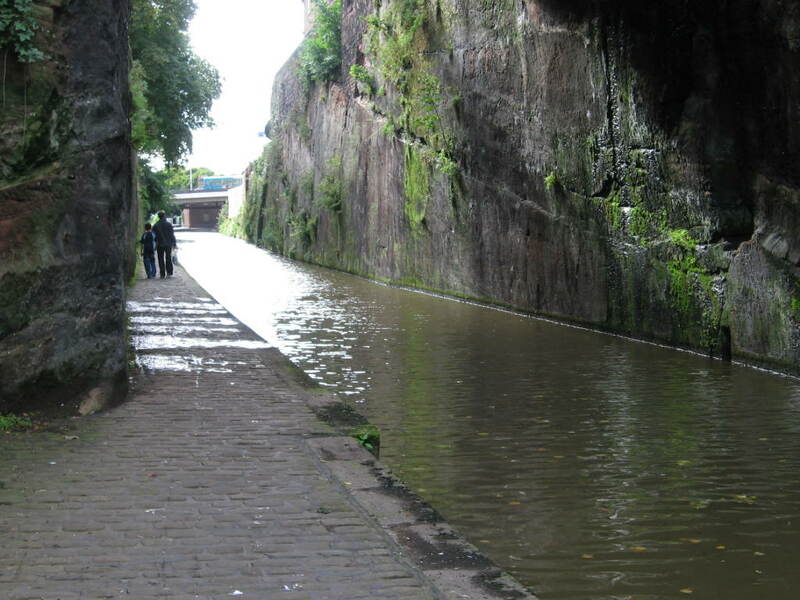 More interesting is the fact that back in time this area was a Roman port. 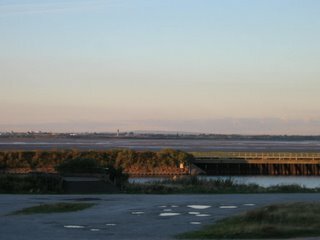 Part of the quay can be seen at the edge of the course. 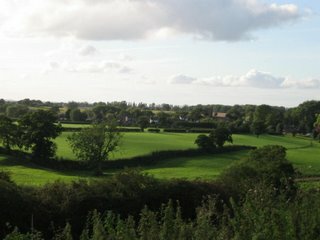 The R. Dee then became silted and changed it`s course and the result was this expance of land. Must be the only racecourse you can stand outside and view the whole race start to finish for free. 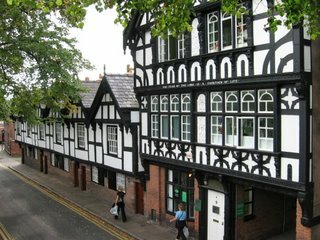 Walking further along the city wall brings you to" The Groves " a tree lined walk by the River Dee. The lime trees were laid out in 1725. Here you can sit and watch the trip boats and small self-drive motor boats coming and going while you rest from walking the 2 mile circuit of the city walls. From here you can see the weir originatig after 1092. 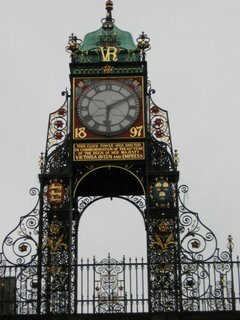 Originaly the clock was for Queen Vic`s Diamond jubilee but ran late and was started up on her 80th birthday in 1899. It was wound once a week for 70 yrs but elektricary took over. 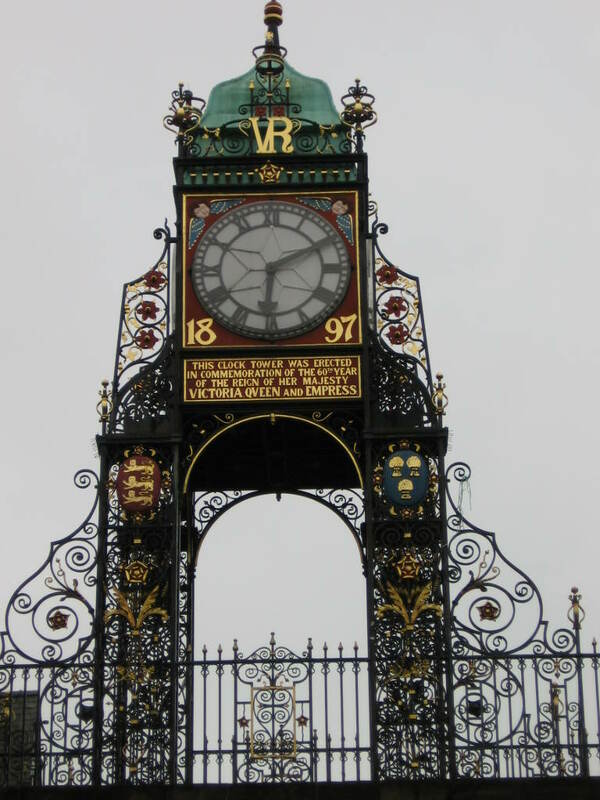 The city gate,Eastgate, the clock stands upon was built in 1768 and replaced a medieval gate. 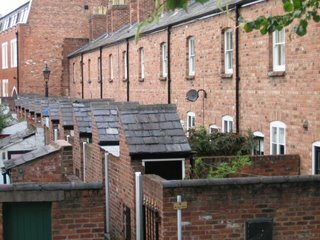 The small houses to the left are almshouses dating back to 1650 while the large house is 1880`s and bears the inscription "The fear of the lord is the fountain of life" What bearing this has if any on the present occupier, a dentist surgery, i`m not sure. Having passed close by the town, which seemed a little bit busy and noisy for mooring, we head on to a mooring further on. Upon this tower it is said King Charles 1st stood and watched his army defeated on Rowton Moor. 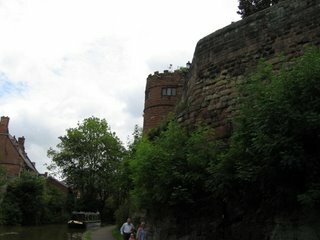 It is now we see the walls surrounding Chester, a fortress built by the romans nearly 2,000 yrs ago. The walk around the walls is 2 miles long. 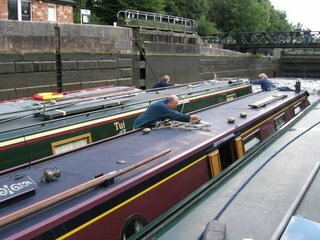 Out of the locks and a sharp right turn brings us to Tower Wharf. This will be home for 2/3 days. To the left is the arm leading down to the River DEE. 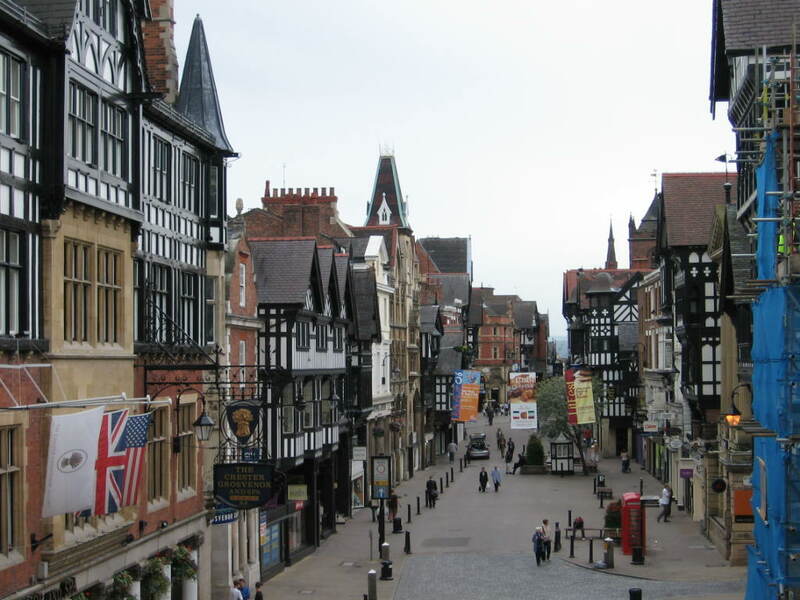 A view down one of Chesters many streets and by the look of some of the buildings this is not your usual high street. OK lets do the tourist bit from the top deck. 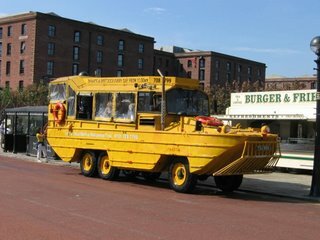 Glad to see my builder is getting on with my new boat. 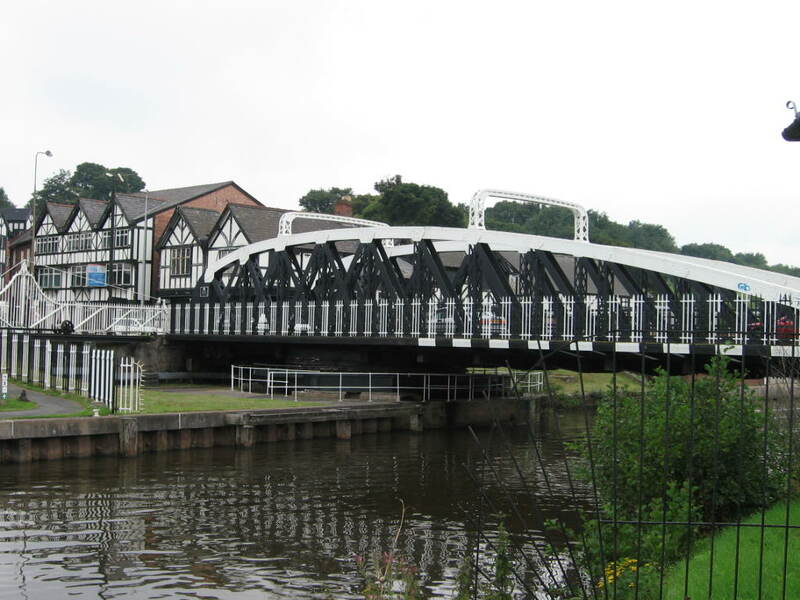 The town swingbridge in Northwich was the first electrically operated bridge in the UK and was built in 1899. Just look at the width of navigation. On the right bank is a hill of salt. In this part of the country not just here on the weaver, salt has been been way of life for many years. A floating hotel at Northwich. There are 5 locks on the weaver inc Marsh lock that leads onto the Manchester Ship Canal. With a lock 225`x42` you could fit18 narrowboats in. The largest ship to navigate the weaver was the ST MICHAEL at 1080tonnes registered in Holland. Each locking takes apprx. half a million gallons of water. 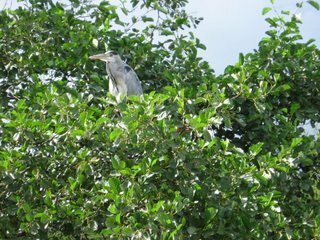 I have never seen so many herons in such a short stretch of waterway. 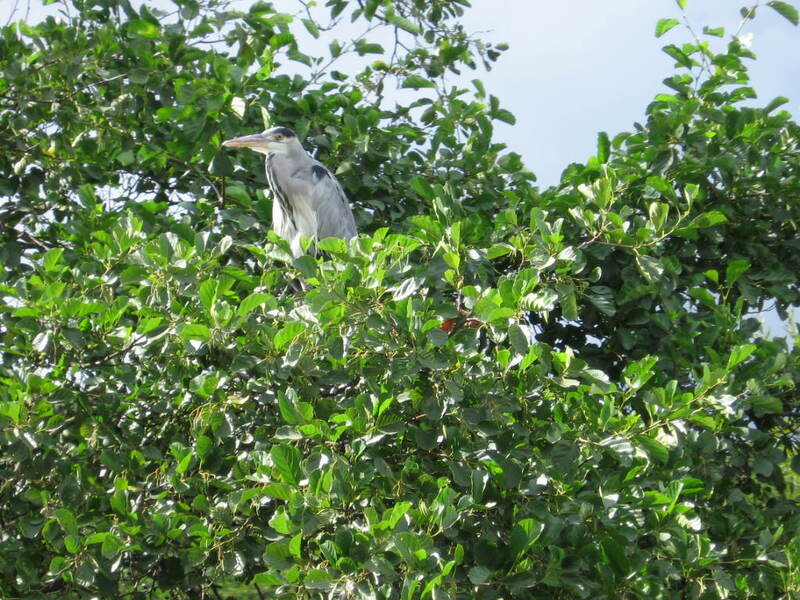 Unlike this one the others were on the bankside. Also seen were 2 kinfishers one resting on the rear of the boat moored in front. A cormorant was seen diving several times and after watching 3 dives he surfaced with a very large eel.
. 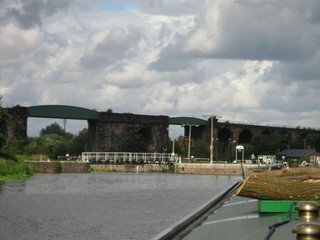 There are four railway lines crossing the Weaver. 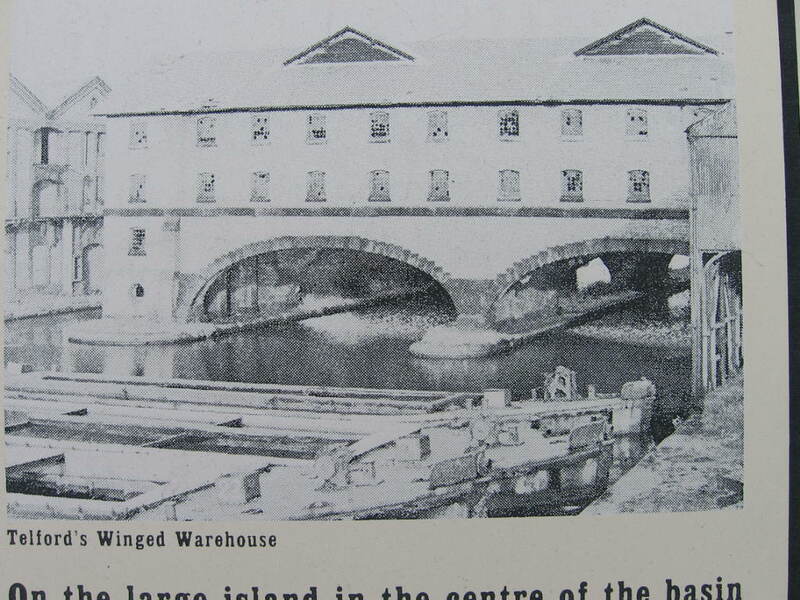 One had 22 stone arches like those on the far right of the above bridge.